The fine dining experience at Harewood is unique. Guests are served in the grandest rooms of the House, with food and wine provided by the multi-award winning Box Tree Restaurant. 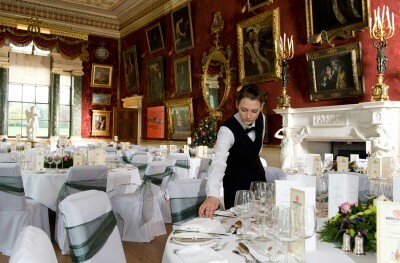 Private or corporate, all events at Harewood are bespoke and tailored to our clients’ individual requirements. Surrounded by lavish interiors and an exquisite collection of furnishings and art, the ambiance and high level of service provided by both Harewood and Box Tree Events provides your guests with a truly memorable experience. Offering guests the chance to dine among one of the best private Renaissance art collections in the UK, the Gallery can accommodate dinners for up to 80 guests. For smaller parties, the grand State Dining Room can accommodate up to 32 guests. A more intimate setting for dinner or lunch can be catered for in the Stewards Room for up to 18 guests. 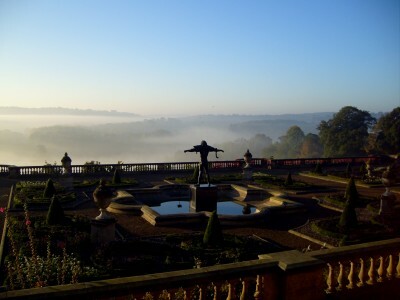 With breathtaking views across “Capability” Brown designed parkland, the Terrace provides an unforgettable setting for drinks and canape receptions for up to 180 guests. For larger dinners, the Courtyard is a great, flexible space accommodating up to 120 guests. For further information regarding dining in the Courtyard, visit our Corporate page. Why does Goat’s Cheese go well with Sauvignon, or Roquefort with Dessert Wine? Our Wine & Cheese evenings are perfect as an interactive event and are a great way to impress colleagues, clients, friends or family. 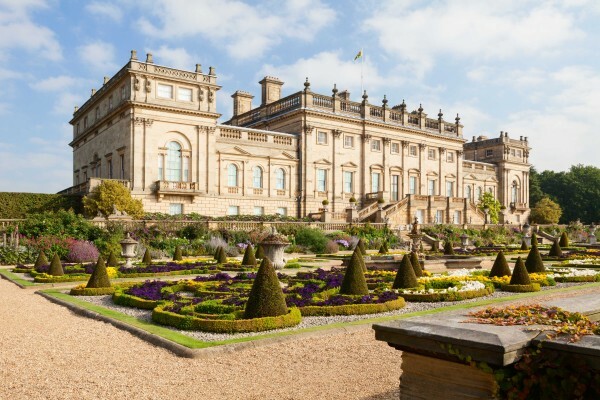 Join us for an exclusive experience at Harewood House. Packages include a variety of different catering options and access for guests to explore the beautiful rooms of the House out of hours. For something really unique, let our expert guides take you on a journey and treat your guests to guided talks on select paintings as part of the evening. Join us for an exclusive, out of hours dining experience at Harewood House and explore our magical Christmas displays after dark. This is a great way to impress colleagues, clients, friends and family, from 23rd November onwards. Packages include a variety of different catering options and access for guests to explore the beautiful rooms of the House dressed for the festive season.